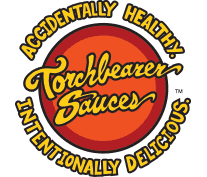 Mix 2 Tablespoons of #4 Tingly or #7 Sultry Sauce™ with the entire can of enchilada sauce in a mixing bowl and set aside. Brown ground beef with the remaining 2 Tablespoons of #4 Tingly or #7 Sultry Hot Sauce. Mix in the refried beans, green onion, and 1/2 of enchilada sauce mix. Then add in half of both types of cheese and allow to melt together. In a tin foil-lined 12 x 9 inch baking pan place ¼ of enchilada sauce mix. Fill each tortilla with about an eighth of the enchilada stuffing and roll tightly. Carefully put in baking pan and press together so that all 8 enchiladas fit in pan. Pour remaining enchilada sauce mix over and sprinkle remaining cheese onto the enchiladas. Bake for 30 minutes.